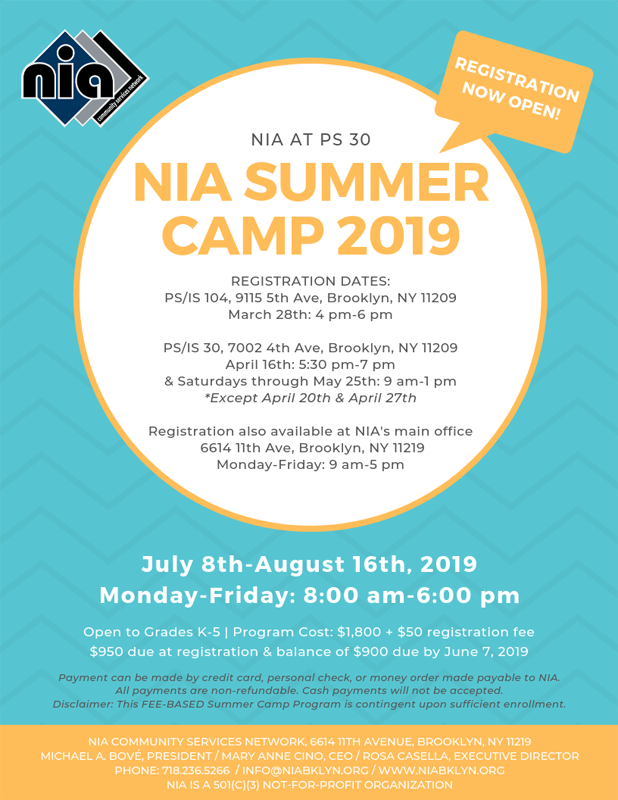 🔆 NIA Summer Camp Update: Register for our fee-based camp at PS 30! This site is no longer accepting applicants for summer camp. 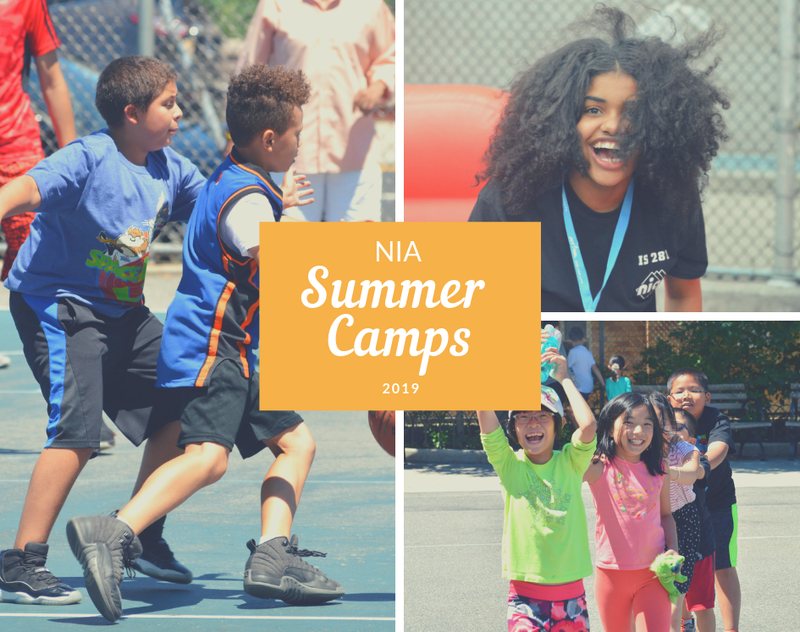 These FREE summer camp programs are brought to you by NIA Community Services Network and are contingent upon funding provided by SONYC (School's Out New York City). Dates and hours of operation are subject to change depending upon funding requirements. Copyright © 2019 NIA Community Services Network. All rights reserved.